Welcome to Year 5/6 2017-2018. Mrs Wilkinson, Mrs Bartels and Mrs Nuttall. Welcome to the Year 5/6 page. We look forward to sharing many special memories and learning experiences with you through this page. 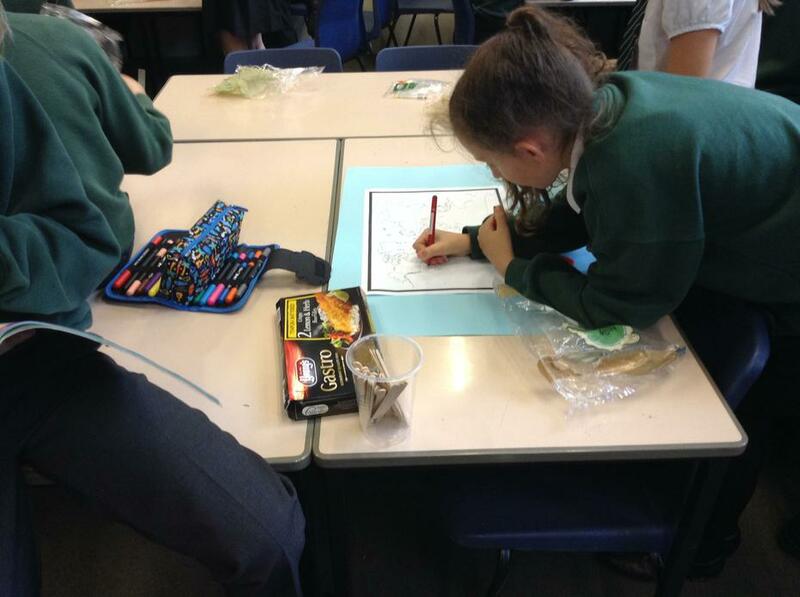 Today after first break, on the Twenty-Sixth of March Year 5/6 got together ready for an activity; Active Maths. We had recently been learning about measurement, area and perimeters, and now Ms Lord, Mrs Chadwick and Mrs Vose had taken it to the extremes of the outdoors. We made approximately twenty-five groups of five, (as well as the few odd groups of four) and were soonly heading outdoors. Our groups grabbed a piece of chalk and started off by working out what the sides of a reactangle could be if the area equals twelve cm squared. From there we were asked to draw a pentagon -irregular or regular- which has a perimeter of ten cm (not squared). I am quite assured from even this point, that all of us were thoroughly enjoying this fun activity. For the last activity, the children were asked if they could draw a parallelogram with an area of twelve cm squared, before heading inside. It had been quite an excitement as we re-entered the building, everyone was talking about the activity. This has help people solve problems with maybe a different strategy, I also hope that this helped others with their co-operating skills, all while enjoying it. In school today, we wore different socks to celebrate awareness of Downs Syndrome day. In assembly we learnt that we share many differences and many similarities with each other. We learnt in particular that people with Downs Syndrome find it difficult to talk as they often have different shaped mouths. However, these people are often very flexible and they can be excellent at gymnastics. As part of our Space topic, we investigated the effects of thrust and gravity in propelling a rocket. We made paper rockets and used a straw to provide air thrust to propel the rocket. We conducted a fair test to see how far the rocket travelled. The furthest rocket flew 5.5m! Learn Its - children in Year 5/6 should know ALL of these facts! Here at Ludworth we don't forget and ,like everyone else across England, we take part in the minutes silence on Remembrance Day. In honour of those former pupils of Ludworth ( Gilbert Leslie Astin, Leonard Robinson, William Shuttleworth OBE and Frank Knowles Nield ) who with much bravery died in the horrific conditions of war so we can live in a free country. We have all paid our greatest respects to these people like we hope generations after us will too. We have created a little remembrance page in our topic books and Ms Lord's English class have written some Alphabet Poems to remember those men and women. There are a few examples in the pictures below. Also to top everything off we had an amazing World War 2 veteran. Alfred Barlow is a true inspiration to us all and some of us actually got to take a picture with him. He explained to us that war is a terrible thing and to try our very best to avoid it at all costs. We all are very grateful that he fought for our freedom and that we had the chance to meet this incredible man. Please for years to come just take a minute of your time to just remember those millions who fought and on lots of occasions, died on the battlefield for our freedom. Today, all of Year 5/6 participated in a fabulous computing session with Mrs Truelove and learnt a lot of valuable skills that wil come in handy in the future. Over the past few weeks, we have been learning how to use spreadsheets on Excel have learnt very advanced expertise. We enjoyed creating our Titanic spreadsheets and also making formulas. Today, however, we have been revising our skills with different games and puzzles. We look forward to having another marvellous lesson in computing! This week has been tasty and fun. 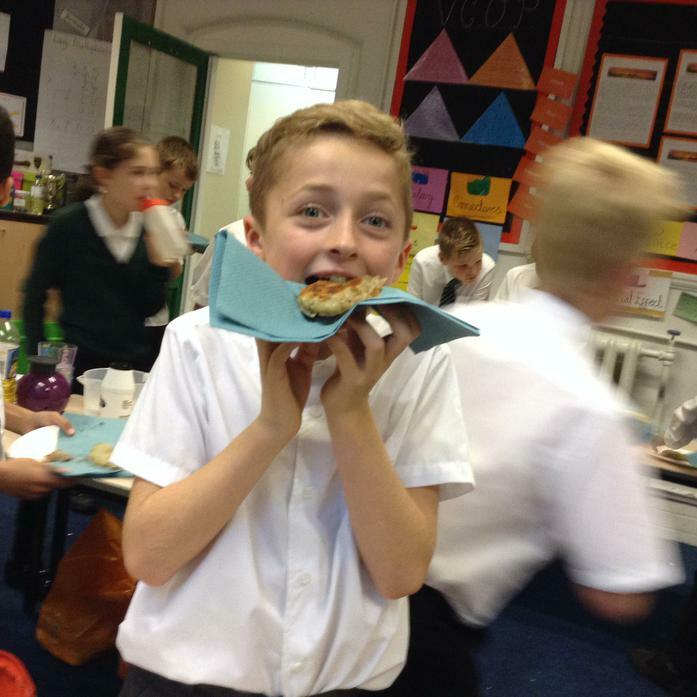 We've been making food from World War II. We made potato pancakes called Floddies. They were made with potato, water, flour and lard. 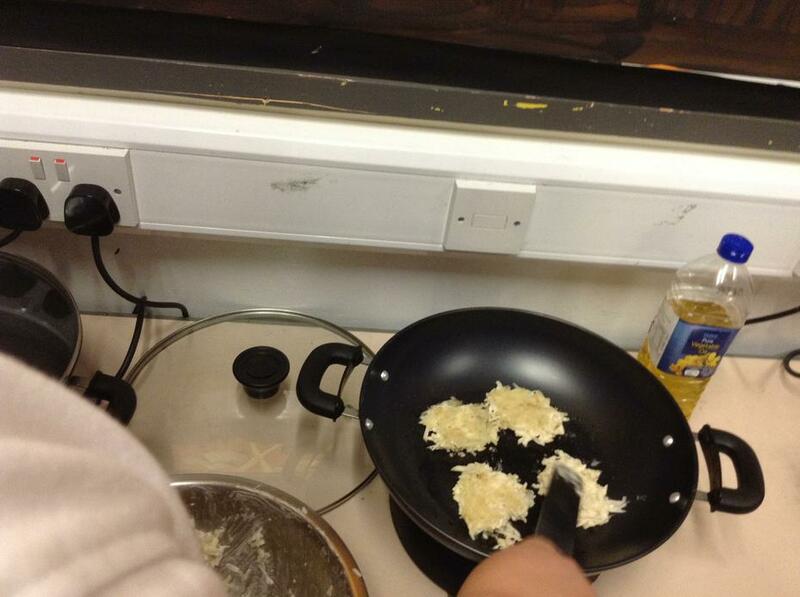 The potato was grated, flour was mixed in, water was added, lard was melted and the Floddies were cooked. Then, ta dah... The Floddies were made! Some of us thought they tasted GREAT, but others weren't so sure. Vegetarians used vegetable oil instead of lard. We decided to make this particular recipe because it fits in quite nicely with the rationing in World War II. Everyone was told to grow potatoes in their garden so the potatoes would be in great supply and the recipe doesn't use many ingredients at all. All three classes have had a go at this cooking class and we all agree that the lesson is definately something to remember. In Science, our class has been making periscopes. We were given a template and instructions were shown on the board. We had to cut, fold and stick to make them. Then on the day we made them we were given mirrors to fit into them. They didn't really work because they weren't the right shape so the day after we tried with tin foil and that was worse because it got all crinkled and the image was blurry. We had a discussion and decided that the mirrors were better even if they didn't fit in our periscopes. Then we took photos with our masterpieces. However, we showed that light can reflect from mirrors and that mirrors can be used to change the direction of a light source. In Ms Lord's literacy group we've been pretending that were are secret agents and we are in a selection process to become the next two agents to join the agency and help stop World War II. We wrote letters to Her Majesty's Secret Service, boasting and explaining why we should be picked as the next secret agents. Only two people will get through the selection and the welcome gift is a highly respected piece of equipment: an Invisible Ink Pen (the lucky pair is yet to be chosen). This week has been amazing because we've been going GLOBAL! We have been doing multiple activities that include the length that a product has travelled to its selling point. 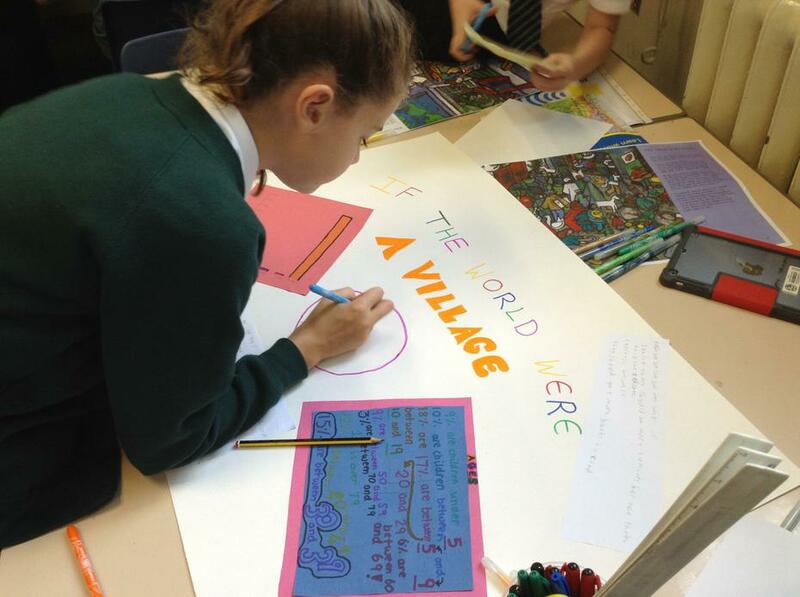 We've also been making our own graphs showing what life would be like if the world were a village of 100 people, with topics showing religion, language, population numbers and ethnicity. The classes have also been making silhouettes of famous landmarks to make the skyline of the world. There have been lots of assemblies showing fair-trade food and school life in India. One of our teachers, Miss Thomas, actually travelled to India to help in a school affected by poverty. She went to see the differences between schools in England and India. She took lots of pictures and even went to the Taj Mahal. Now she is suggesting we donate some money to the school in India to help buy maps and other similar equipment. We also had a lesson on world music and had to guess where the chosen music from other pupils had come from. We've really enjoyed this week because it's taught us about what's happening around the world, not just in Manchester! We're really looking forward to the next jam-packed week of GOING GLOBAL! This week Ludworth has gone global and we have indulged in many interesting projects. We've had so much fun! Each afternoon we have been immersed in different world themed activities. We started by imagining that the world was a village of a hundred people, to try and understand the context of the worlds population. Did you know only 5 percent of people live in North America, this equates to three hundred and fifty-seven million people. Surprisingly sixty-one percent of people actually live in Asia-this is over half the worlds population living there. An astonishing one point three-seven-nine billion of those people are actually from, and living in, China! We have also thought about where the food we eat comes from, how far it has travelled and whether or not it has been ethically produced and traded. We had fun creating water colour washed backgrounds for our silhouettes of global landmarks. We hope you have enjoyed reading about our fantastic week. This blog was made by Teddy and Millie. Today year 5 took part in the eagle eye project. They learnt about road safety, safety in cars and how to be a safe driver. In small groups the children then constructed their own vehicle using card. Some groups were allowed to experiment with reinforcements in order to keep their car as safe as possible for the passengers. Once created we constructed a fair test to see if any of the car would stand a crash. We quickly identified which part of the car needed reinforcements. Today, year 5/6 took part in a coding session with Mrs Truelove. We designed their own on code bugs, all to do with our topic; World War II. In our previous lesson, we learnt how to code simply, but in our lesson today, we were taught more advanced skills within our learning. We wrote German codes on our code bugs and showed our classmates. Mrs Truelove also taught us how to download our favourite messages onto the code bug website which is www.codebug.org.uk. Everyone enjoyed the afternoon. It was fantastic!